Autumn walks are glorious. I enjoy looking up and finding sunlit leaves to photograph. Yesterday, I noticed an especially tall tree with brilliant color in the distance. In a patch of barren branches glowed one shining leaf. 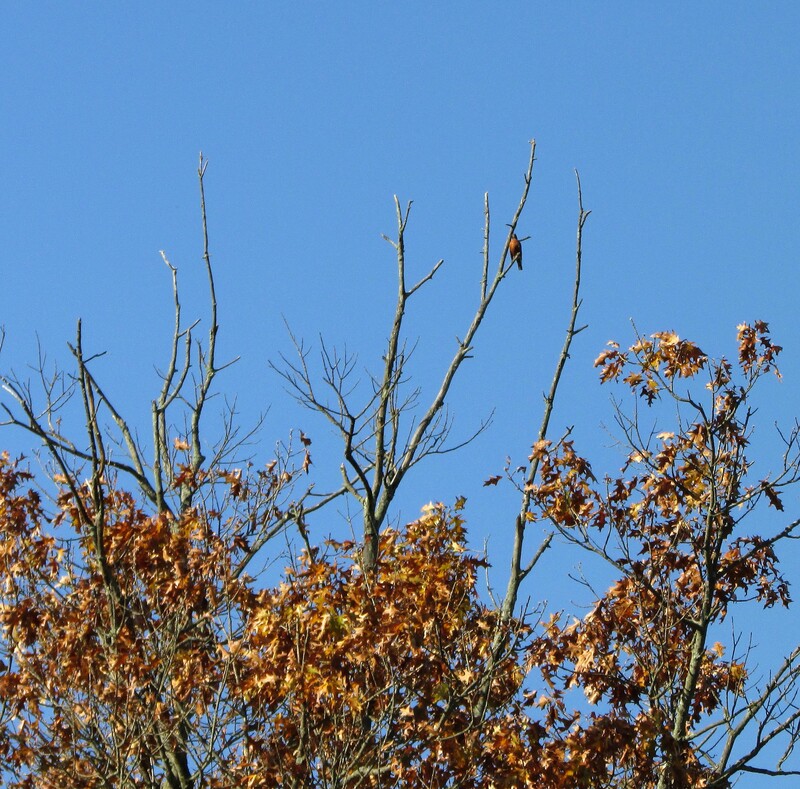 When I zoomed in with my camera lens, I found my single leaf was a robin basking in the sun, his feathers perfectly matching the russet of the leaves. Robins, like geese, don’t seem to fly south anymore, but winter over in many northern areas. Journey North has an excellent article on why robins winter-over in the north. One reason I might see so many in my area is the abundance of natural food source trees and bushes in our area. 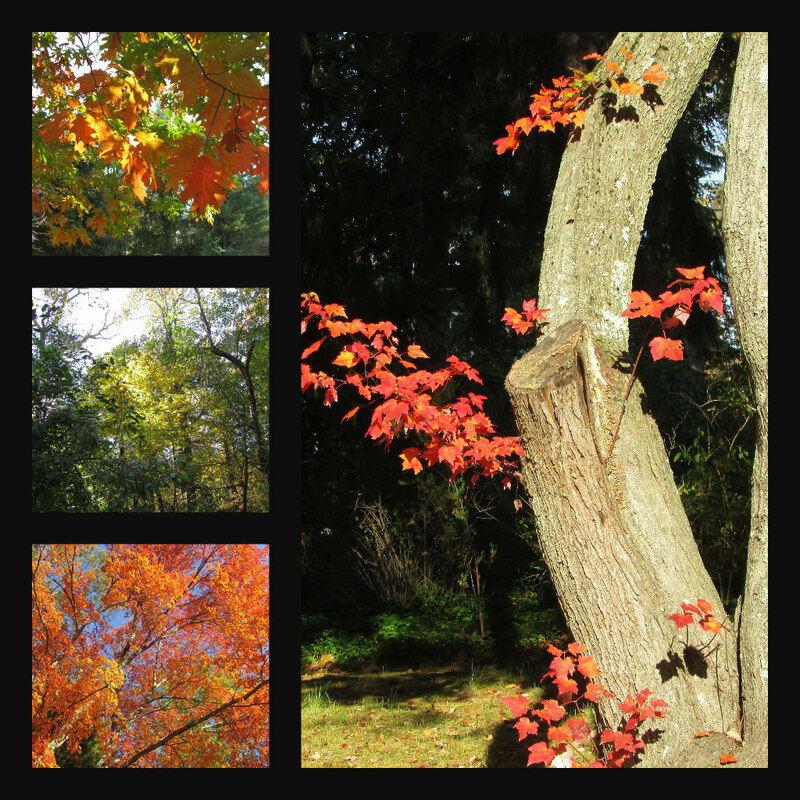 Here’s a few of the Autumn trees in my area of New Jersey this week. I can’t wait until the leaves lay ankle-deep on the sidewalks like a gigantic potpourri of color. What fun it is to kick through the piles, enjoying the inimitable fragrance and crunch of the dry leaves beneath my feet. This post is part of Skywatch Friday. Sorry, I posted my Saturday prompt on Friday — got my days confused. It will go back tomorrow and your pingback should still appear on it. Lovely picks. I wasn’t aware that the robin doesn’t migrate anymore. I think some areas still have migration. We seem to see them year round here…they feed on native berries. That makes sense. Pretty sure they still migrate here. Beautiful captures! Nice to see those lovely colorful autumn leaves. Thank you…their beauty is fleeting, so I make sure I enjoy the Autumn display every year. 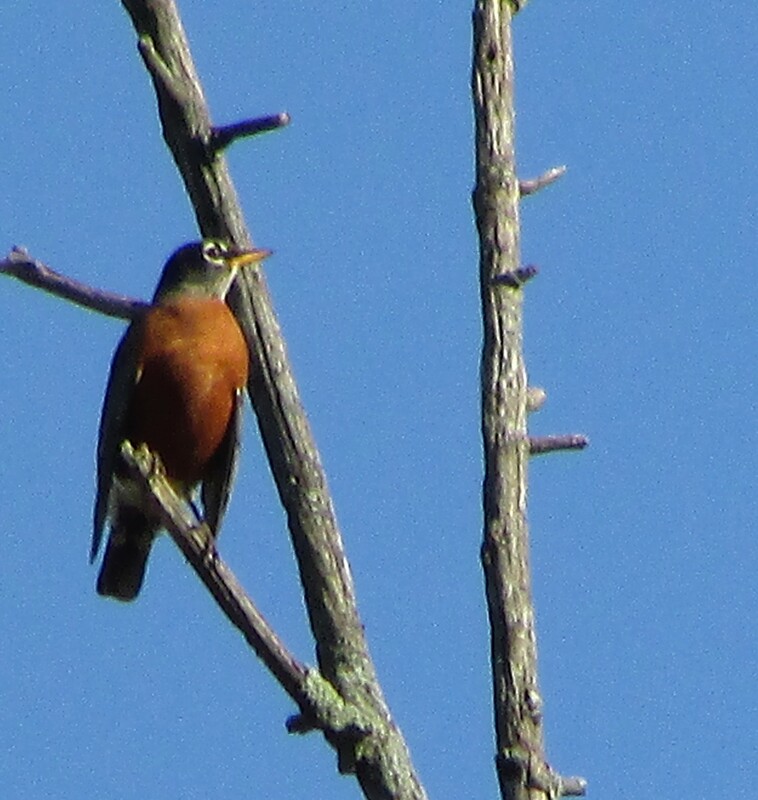 Beautiful shot of the robin against the blue sky. Enjoy your weekend! Thank you, and you do the same. I love your fall colors. Thanks Anne. You must be enjoying some beautiful foliage too. The trees are getting a little more color now. This season was considered a disappointment by the forecasters and those who cater to leaf-peeping tourists. When it comes to timing in nature, we need to be flexible. Beautiful Autumn color! Great photo of the Robin! Thanks so much. You do the same. Those photos are stunning! Autumn certainly puts on a beautiful show.